Need room to roam? And space for your kids to play? Need a place for a vegetable garden that won't get trampled by errant basketballs and young Fido? Wish you had the backyard space for a swimming pool and a large patio? Well, your wish has come true. 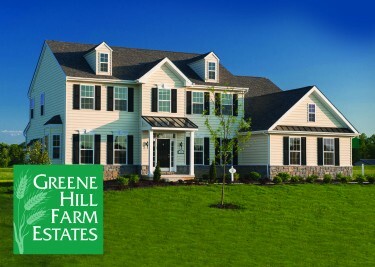 Introducing Greene Hill Farm Estates, a community of single-level and two-story executive homes on large half-acre home sites NOW SELLING in the greater Smyrna and Dover area. A wide choice of styles are available so homebuyers can expect to find the exact home they want. Although each model will come standard with all the value-added features and amenities, there will be numerous ways to customize. And if your wishes are for something not on the options list, fear not. Unlike the big public builders, in most cases we are able to work with you to make your wishes happen at affordable prices. Perhaps the biggest ownership advantage at Greene Hill Farm Estates is the convenience and peace of mind of public water and sewer services. No more well tests or messy septic tank clean outs. 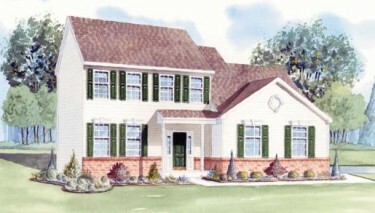 Greene Hill Farm Estates is the first community of oversized home sites in the area to have these public utilities. So, if you're in the market for a quality new home on a homesite with room to roam, come visit our sales center today and take advantage of introductory, pre-construction pricing.